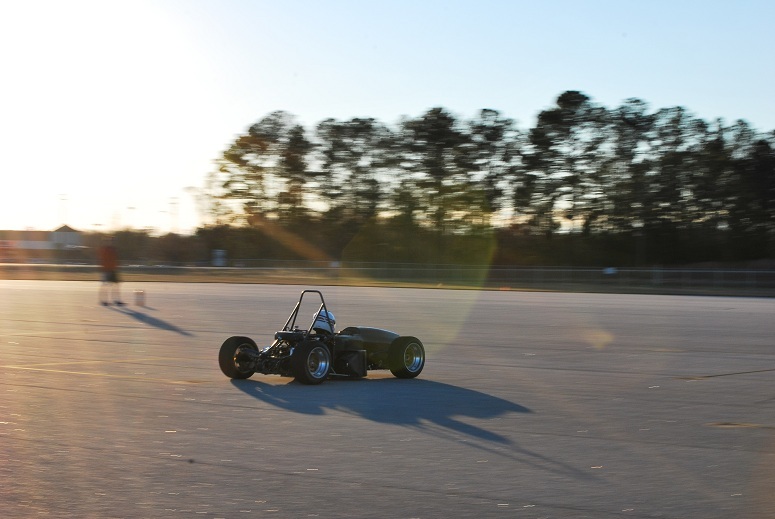 On February 23rd, 2013 AU-2013, Auburn’s 2013 FSAE racecar, drove under its own power for the first time! 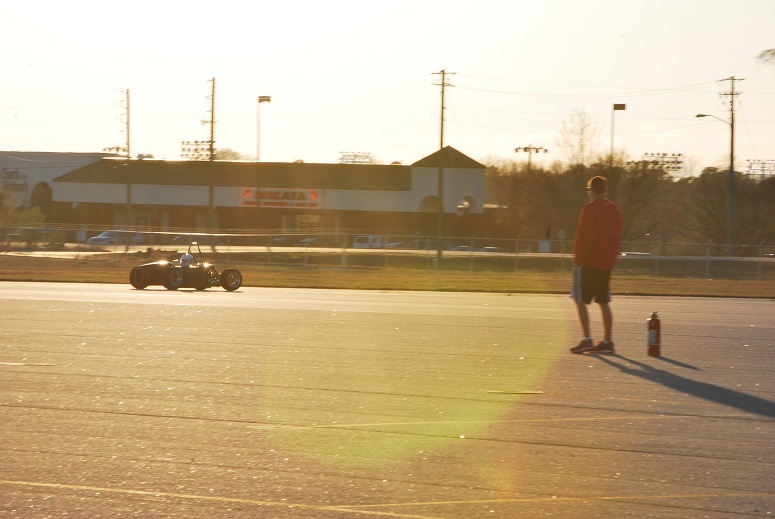 After 4 and ½ months of manufacturing the car is complete, and the team is now officially in the testing stage of the 2013 race season. 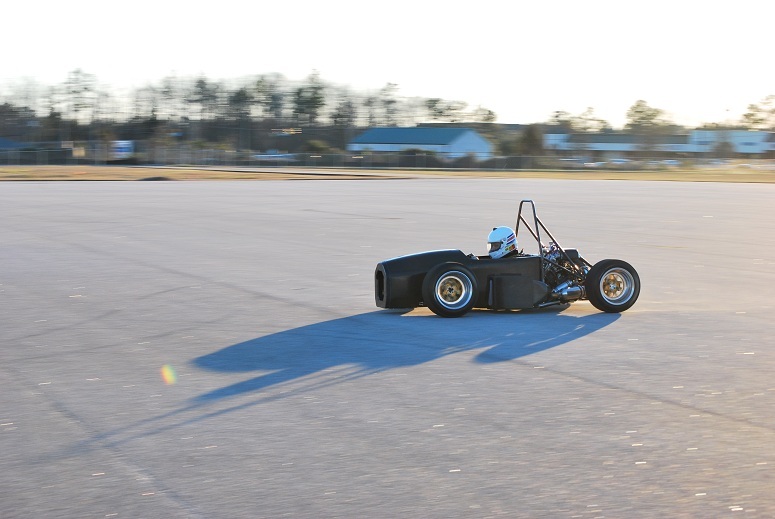 Preparations for FSAE Michigan begin immediately as testing takes place at the Auburn University Regional Airport this week. AU-2013 is the team’s second car to have a front-half carbon fiber monocoque and rear-half steel tube frame chassis, and is the team’s third car to use the Yamaha R6 powerplant. The team has set high but obtainable goals for the 2013 racing season, and so far, AU-2013, has met and exceeded all expectations. AU-2013 is over 35lbs. lighter than the 2012 racecar, and is predicted to make up to 90 horsepower. The variable length intake runner system has been retained for 2013, as well as the lightweight titanium 4 to 1 exhaust system. Changes include a modified clutch assembly, repackaging of suspension components such as the rockers and dampers, newly designed side-pods, upgraded ergonomics, high compression pistons, and a redesigned intake plenum. Because the team has retained almost all major components from the 2012 racecar, the development process is miles ahead of where it would be on a new car designed from scratch. 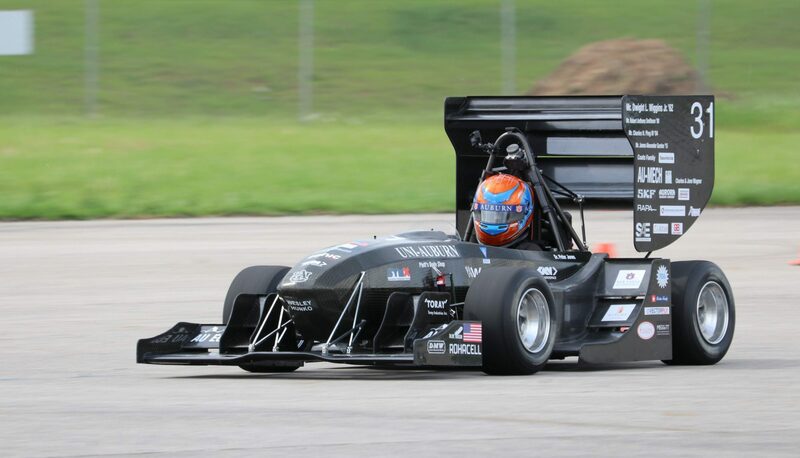 Therefore AU-2013 is the next step in development of AUFSAE R6 powered cars, and will be the lightest, fastest and most powerful car AUFSAE has ever built! AU-2013’s performance is anticipated to surpass that of the 2012 car, and seeming as though it is significantly lighter, and the center of gravity significantly lower, it should exceed expectations. season begins as the team shakes down the car, and starts to develop the AU-2013 platform into a race winning machine! The team is proud of its hard work, but there is no time for rest as testing begins immediately. The car will then go to be painted, powder coated, and anodized in preparation for the 2013 Car Release Ceremony on Saturday March 16th. The team would like to thank everyone who has partnered with us for the 2013 season and beyond. Thank you to all of you loyal partners who have been a part of the team for sometime now, and thank you our newer partners with whom we look forward to developing long and prosperous relationships! Thank you The Samuel Ginn College of Engineering, and Dr. Christopher Roberts for you unwavering support over the years. Without Auburn University and The College of Engineering this project that we love so much, and have so much passion for, would not exist. Thank you!